Let them choose their own gifts with a Cyberguys electronic gift certificate. 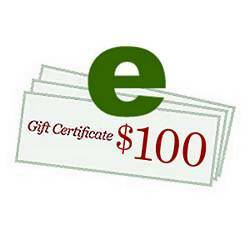 Electronic gift certificates are emailed to the recipient of your choice and include a customized personal message. They're completely transferable, so you can even email one to yourself and give the certificate to the recipient directly. Please be aware that even an email gift certificate can take up to a full business day to process, so plan accordingly.